Correcting Another Rumor – Jeffco Is Not Highest in Mill Overrides! Seems like every time we need something for our kids, there’s someone out there (sometimes anonymous/sometimes not) who decides to flat out lie or start rumors. That’s just not okay. It’s the same as the billion dollar budget lie we asked you to correct. The latest nose-growing falsity they’ve posted via Twitter: “Jeffco resident pays among the highest number of mill overrides for education in the state.” With the #standupforkids hashtag even. Jeffco is one of the two largest districts in the state, serving more than 86,000 students in K-12. Yet, for voter approved mills, we’re number 9. With state adjustments, we are number 14. The data is included below so you can see for yourself but the link above will give you even more info! We do need to take care of Colorado students and provide them with an adequate education and we have not been doing this with years of cuts and implementation of the negative factor and TABOR. Sign the petition, carry one, and volunteer! 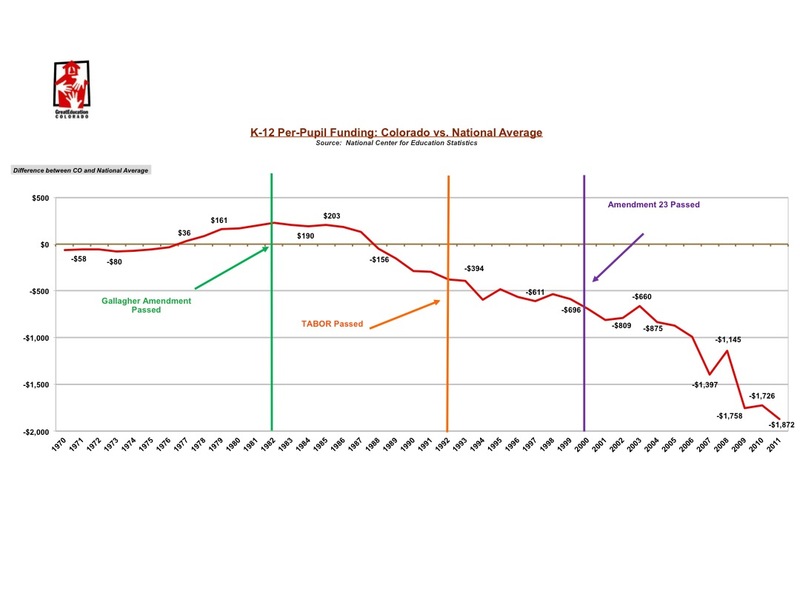 Here are the facts – school funding in Colorado is a problem! The average school building in Jefferson County is 45 years old. Many of the heating and cooling systems, boilers, and plumbing are dated and inefficient. And yes, now lead has been found in drinking water in some schools. Making sure our kids are safe is a huge priority. “Complying with an updated Colorado Division of Fire and Prevention Control code requirement that says public, charter and junior colleges statewide must have locks in designated classrooms that can be locked from the inside” is a priority. We may or may not have the opportunity to vote for a mill and bond to serve Jeffco students in November. Regardless, sharing accurate information is crucial. Making sure your neighbors and friends have factual information is, or should be, your highest priority if you have children or just care about public education. For Yard Signs, email yardsigns@supportjeffcokids.org with your location. Support Jeffco Kids is a 501(c)4 nonprofit organization. Our mission is to educate the Jeffco Community on the importance of supporting public education for ALL kids in Jeffco, inform the community on the current events, and to support a school board that understands the importance of educating ALL kids in Jeffco.